Today was our first Volunteer Work Day of the season. Unfortunately, the weather was on the chilly side and hovered around 50 degrees F with plenty of wind and occasional sunshine. The next five Saturdays (8 am – 12 noon) will also be work days as well. Due to the threat of frost tonight, we had to shift from a planting day to a mulching/weeding/tidying day and had a great turnout of volunteers. 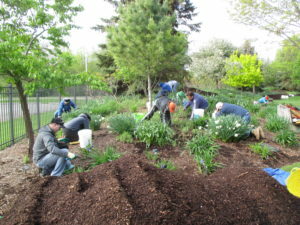 Above are some of the 18 volunteers that helped weed and mulch the daylily collection. 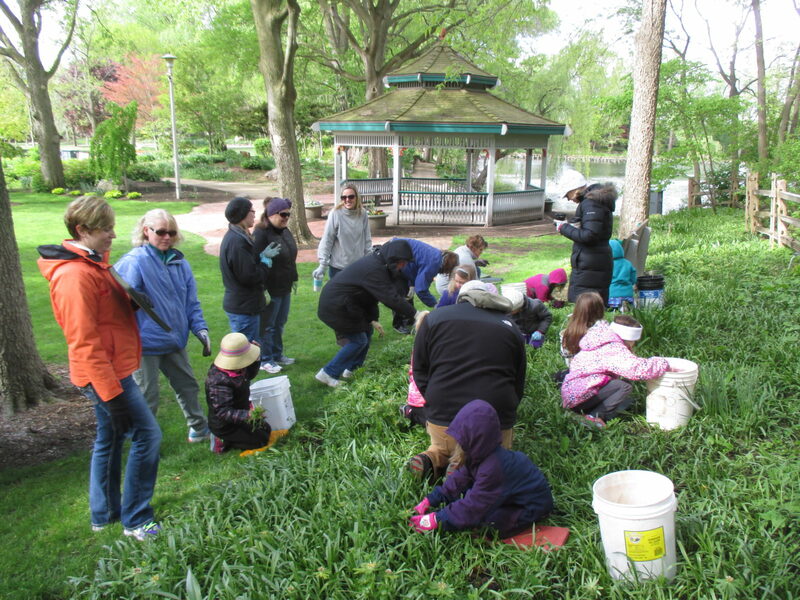 Below is a group of 10 girl scouts and 10 parents that helped collect bulb foliage in the gazebo garden. 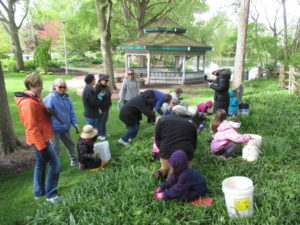 Our remaining volunteers included a nice turnout of our Janesville Area Herb Society (JAHS) members who also worked out in the gardens. Bill O. was in to help out and both Dennis and Jackie helped run the compost sale. We also saw Mary W., Maury and many others today. It was busy but very productive! Big John and Janice also helped out and everything went smoothly. ← Friday the 13th with 13 New Volunteers!